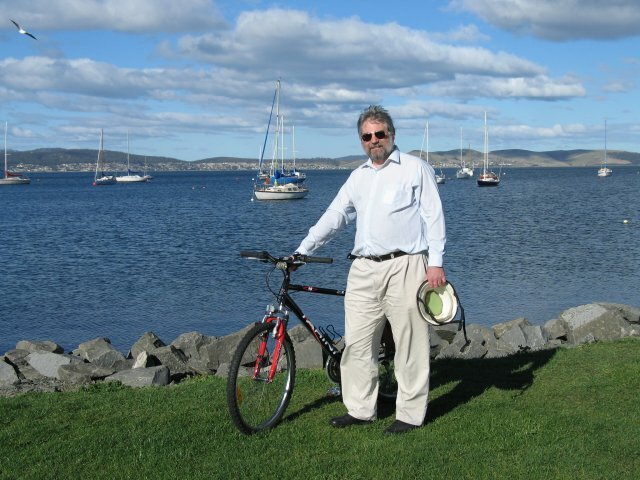 David Edwards, an activist and community leader, is standing for the Hobart City Council. Married with 4 children, he works as an engineer, and for the last 20 years he has provided quality service to the Hobart community. He has been involved in Neighbourhood Watch, primary school soccer, community and residents' associations, cycling, land care and historical societies, as well as professional associations and unions. For 13 years he has served in an honorary capacity on the Battery Point Advisory Committee. David Edwards is firmly opposed to attempts to sell off public space, such as the reserve near Maning Reef, and thinks that the citizens of Hobart have been badly served by the current Council. As an example, he believes that recent decisions to allow extra floors and additional height on buildings in the city and Sullivans Cove were made to the detriment of Hobart’s amenity. The arrogant attitude of some aldermen in pushing developments, such as those on and adjacent to public reserves, contrary to the wishes of the public, shows the contempt with which the Council treats the citizens of Hobart. This arrogance is shown by the attempt by the Council to cut the Battery Point Planning Scheme in half, which attracted more than 80 representations, only 2 of which supported the Council’s proposal. The Planning Scheme doesn't need changing, aldermen who want to destroy it, do. 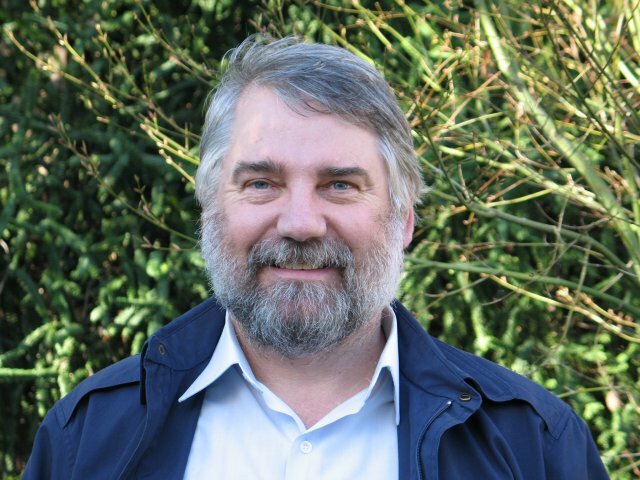 David Edwards strongly supports the preservation, restoration and enhancement of Hobart’s unique built and natural heritage, with development appropriate to the needs of the people and businesses of Hobart. It is 5 years since the aldermen up for re-election faced the ballot box, and David Edwards believes that the counter-productive bickering and infighting occurring within the Council means it is time for a "Council Cleanup". Make your vote count - give your number 1 vote to DAVID EDWARDS in the October Council elections and achieve a Council Cleanup. David Edwards at the public open space on Marieville Esplanade. Well, I didn't get elected. However I did better than I did when I stood in 1996. This time I got 421 primary votes, and was eventually excluded. I would like to thank all my supporters for their help and encouragement. For further information, write to David Edwards at GPO Box 431, Hobart TAS 7001, or phone on 6223 6703, or email at "david at dedwards dot id dot au"